On July 15, 1999, a young major was grievously injured in Kargil during Operation Vijay. Surgeons declared him dead in the army hospital; then managed to save him after amputating his leg. 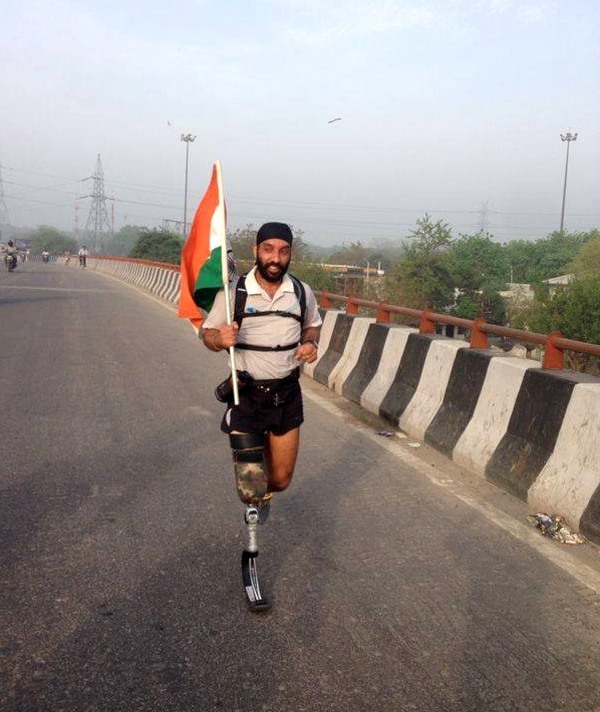 Today, that same soldier has run 12 half marathons, a feat as miraculous as it is inspirational. 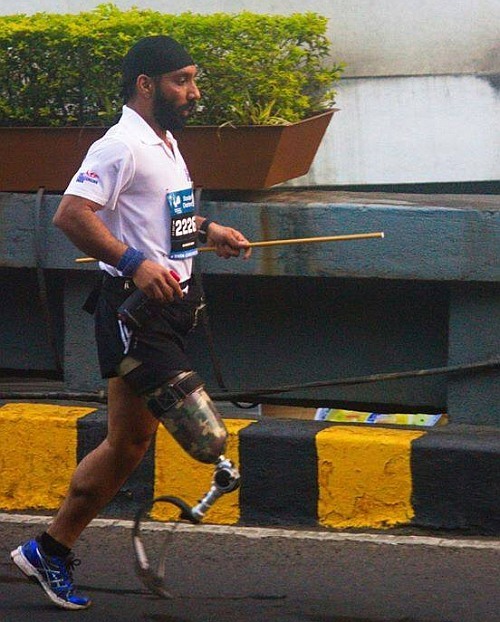 Every time he crosses that finish line, Major D P Singh doesn't merely win a battle against his beleaguered body -- he sets new standards of bravery and endurance for people like us. "When I learnt I'd lost my leg, I told myself that this would be yet another challenge in my life," says Singh. He endured 10 painful years of recuperation thereafter. "I just couldn't get used to the sympathetic glances I used to get from people. After a while, I was desperate to change that," he says. Although in his earlier days he'd been more into rally sports, Singh decided to take up running. "I just wanted to show people I could do it," he says. It wasn't easy. 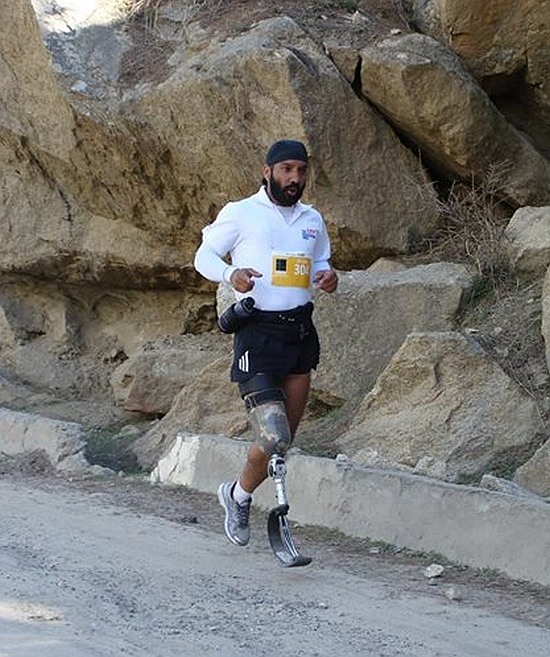 Singh signed up for his first marathon in 2009, and began training with his prosthetic leg. "I found I could hop with my good leg, then drag the prosthetic," he says. Within few days, he was able to hop-run for about four to five kilometres. "Sweating out like this after so long elated me. Although it was slow going, but I managed to run two half marathons like this," he says. 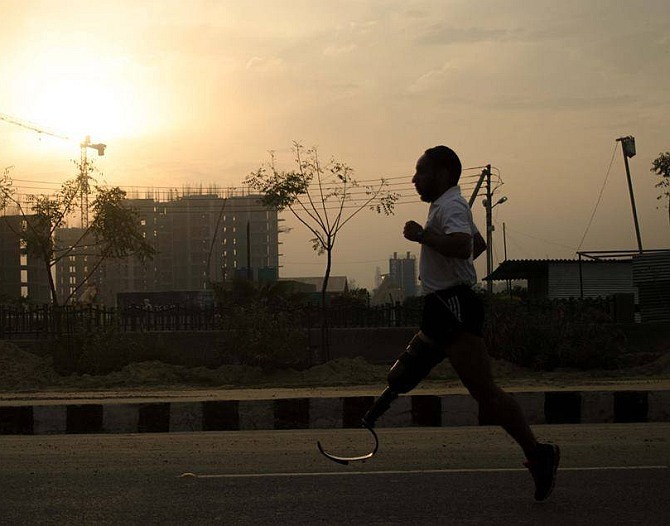 Then Singh heard about the fibre blade prosthetic, made famous by Oscar Pistorius -- the South African amputee runner. Today, he holds the Limca record for being the first Indian to run a half marathon with the blade -- a feat that has earned him the epithet of India's Blade Runner. "Every time I run, my mind and body continuously battle with one another," says Singh. "But one has to overcome physical discomfort to carry on." Singh's training routine sounds gruelling. Every morning, it takes him over one and a half hours just to get ready and wear his prosthesis. "So to run at 5 am, I wake up at 3," he says. "And that's only the beginning. When I run with my blade, I feel the jarring impact of my feet on the ground all the way from hip to head. I run for the sheer exhilaration of it, but when I finally stop, I'm bruised all over..."
"Running is so wonderfully spontaneous. When you run, you depend only upon your body and mind -- nothing else..." he muses. It has also given him what no other rehabilitation effort has -- renewed self-esteem and a sense of purpose. "When I lay dying in the battlefield, my mates carried me to safety risking their own lives. I owe a huge debt I can never repay to those countless people who worked tirelessly to save my life..." he says. "This has made me want to give back, somehow." Singh has begun a support group for amputees, The Challenging Ones, to encourage and enable people like him to strive to rise above their disability through sports. When Singh reflects upon his tumultuous life, he becomes pensive. 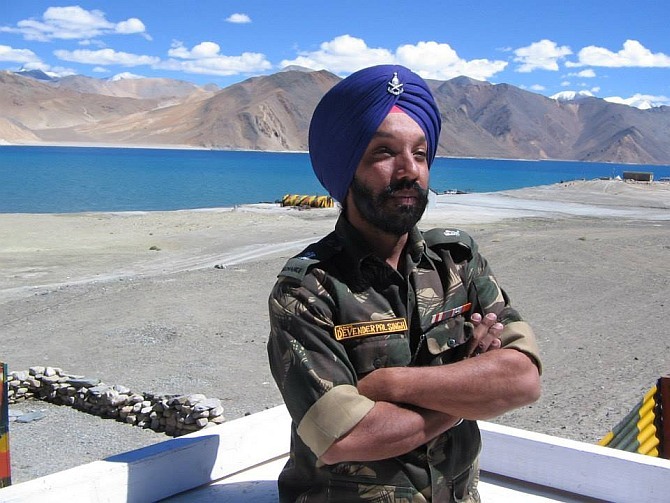 "I owe it all to my upbringing as a Sikh and training in the Indian army, which has given me the ability to convert adversity into opportunity," he says. India's Blade Runner continues to soldier on, aiming now, to run a full marathon of 42 km. He seems confident of accomplishing this feat. "When I was injured, I received blood from countless people of different castes, creeds and states," he says. "With the blood of India running in my veins, I feel like I can do everything..."